Star has been with us for some time now and we would love to find him a forever home. He is a friendly and affectionate boy, who loves to play and have fun. His favourite things are footballs, cheese, and having a good scratch behind his left ear. While here he has learnt to walk politely on a harness and lead, to play fetch, to sit on command and to make eye contact when given the “watch me” command. He loves learning and would like to carry on with his training when he is in his new home. Unfortunately, he didn’t have the best start in life so he can be nervous when he's out and about, particularly around other dogs and children. 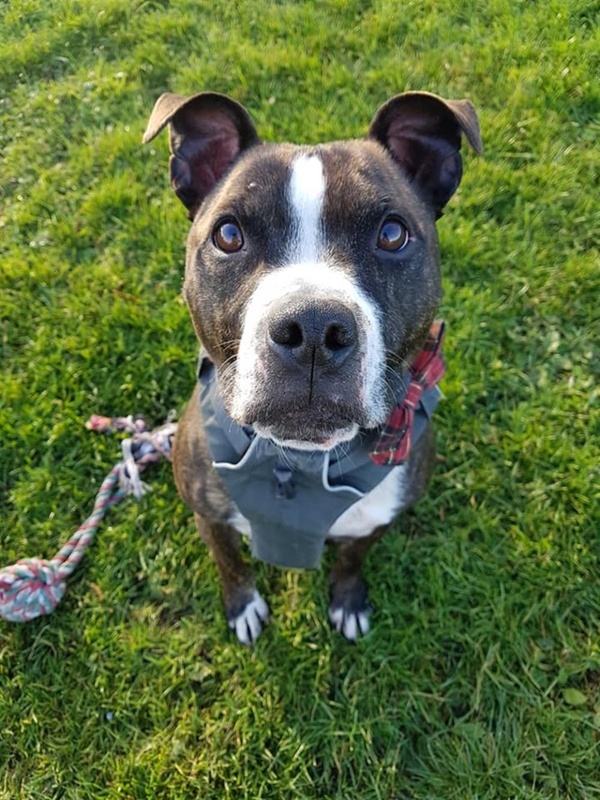 He is looking for an experienced owner who has the time and commitment to do behaviour work with him, and help him gain some much needed confidence. He would like to live in a home without children, where he can be the only pet.